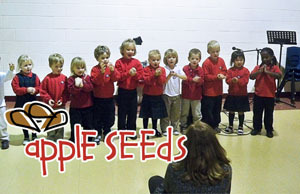 We are excited that the Academy expanded in September 2011 to include an Apple Seeds Preschool program, licensed under the Ministry of Education. Social researchers have found that the most important years in a child’s development are those from one to six. The instruction children receive and the habits formed during these years affect their ability to learn and progress through their years of formal education. 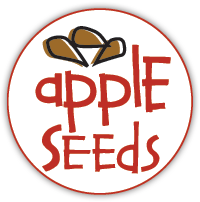 Understanding the importance of these early formative years, Apple Seeds strives to meet the needs and interests of each child through cooperative learning experiences that promote exploration by learning to ask questions and making choices that lead to success. Through the nurturing and encouragement they receive during these learning experiences, children will gain feelings of competence leading to kindergarten readiness and future academic success. 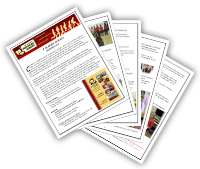 The program offers a variety of enrollment options to meet the needs of our families. Families can choose from half day options, full day options or a combination of the two. The class has an adult to child ratio of 1:8 with a class maximum of 16 children aged 2.5 years to 5 years of age. The program reflects a sincere appreciation of the Christian perspective. We strive to meet the needs of each child through cooperative learning experiences designed to meet the social, emotional, spiritual and developmental needs of preschoolers. We are located on a 50 acre property, adorned with our own pond simply waiting to be discovered, explored and enjoyed. Apple Seeds has a private fenced-in playground located at the back of the school. Children will enjoy a fun-filled morning or afternoon through center time, stories, crafts, music and outdoor play. Students are also given other enrichment activities by using the gymnasium, school library and kitchen for baking. In addition to these fun events, there are pre-reading and number skill activities leading to kindergarten readiness and future academic success. Families are encouraged to register quickly as space is limited. For more information, please contact the office at Calvary Christian Academy at 613-283-5089 or email at info@calvaryca.com.